I drank this crap this weekend. Wife’s syster’s man is from Venezuela. I must admit that the Diplo is my step into the world of rums. But I got tired of it rather quickly. Now I’m on the hunt of the foursquare, Bielle, Velier, dunkan taylor, kill devil and such. The downside of these limited released rums is just that. You don’t get a real change to buy them. Being from Sweden it is difficult sometimes to get them. I get jealous of you whenever you review a Velier Caroni. We don’t get the chance… or we have to spend around 350 Euro. Anyway! The Diplo for me is not a rum but a rum-liquor. It’s too sweet! The finish is just pure liquor. The thing is, the Diplo tastes good. There’s nothing wrong with liking things that taste good. I myself don’t really drink it, because I can take many other liquors I have in my cabinet and make an old fashioned which tastes better and is more interesting. But I don’t really hate on anyone for drinking something that tastes good. I sometimes drink a Coke or eat at McDonald’s as well, even though there are much more interesting and better burgers and soft drinks out there. I do wish that there was some sort of labeling or more transparancy with what is in the glass, but I don’t have any issue with them doing what they are doing or people who like that. For people who don’t know much about rums and are casting around for some good ones, honesty in labelling would go a far way. El Dorado 15 was a key rum of the world and now this! I can’t tell if you’re pleased or disappointed. The fact you would refer to a Rum which costs, according to winesearcher average, $147 as “mid-priced” makes me wonder how many Rums you review you actually, you know, pay for. And while I credit you for recognizing your tastes have evolved, some of us who enjoy sipping rum may never follow down the rabbit hole of single cask, whiskey broker bottled releases. So to find out if a truly mid-priced product like El Pasador (widely available for at least a year now) is worth the purchase, thank goodness for the “reviewers” at Rumratings. I do give the 2013 you credit, though, for reviewing products like Panama Red. I wonder if today you would bother. Your comment is misinformed. The rum costs < GBP 40 in UK and in Canada's LCBO it's <$60. That's midpriced. Where on earth do you live, so I know to avoid buying rum there? This blog is about my experiences with rum, not an instruction manual, so it’s a weird statement for you to make that people who like sipping rums won’t follow me down the rabbit hole. They might not, but they could sure do worse. I write about all rums that I can source which cross my path. Write about the Panama Red now? Of course I would. I try to get rums from across the quality and price spectrum. This review here is a case in point – if I was as snooty about my cask strength rums as you imply, I would hardly have touched it again. 75% of everything I try is bought (the other 25% is sample sharing networks and rum festivals), so I have the right to decide where to put my money, and if I chose to give a rum like the Pasador a miss, it’s because the Spanish style rums are not my cup of tea right now. Since I know this is what you really want to know, no, I don’t get samples from producers, and refuse them when offered. The issue I have with Rum Ratings is not its existence but the lack of rigour, and its populism. If you are okay getting a read on the way the majority of non-critical rum drinkers feel about a rum, it’s great (and that’s why I occasionally look there myself). But as a research tool? One person’s experienced opinion spanning years? A clear and understandable description of why a rating was given? Background on the rum production or company behind it? Additives? It’s useless. Think about that before you uncritically accept what so many hundreds of people say about any given rum. Read your review, and my first post. It’s the CRITERION that you referred to as mid-priced. That gave me pause. And that’s where the rabbit hole comment came from. I would guess that the majority of people who wish to savor spirits for reasons beyond intoxication are not so committed they wish to stock a collection of bottles priced at $100-$200. I did in fact think you must be reviewing free samples provided to you, at least in part. I accept that this is untrue, and am sorry for implying otherwise. And of course it follows you should review as your interests lead you. I actually own 3 of your 5 Key Rums so far listed. And it was the Appleton 12, along with Seleccion, that taught me me dryer Jamaican and Cuban styles were not to my liking as much as the sweeter Spanish style. And because I’m 59, not 19, I’ve no wish to “educate” my palate beyond that. I simply want to find more affordable rums I will like as much as El Dorado 15 and Reserva Exclusiva. And Rumratings has no more been useless to me in this regard than Tripadvisor is when I’m looking for a decent hotel room. I now have a wish list of El Pasador XO, Millonario 15 and Plantation XO thanks (in part) to the “reviewers” there. If a Google search of a product leads me to your site, and others like it, I will continue to read for both information and entertainment. But I will continue to refer to Rumratings as well. And after an hour there last night I won’t waste a minute more on the Ministry of Rum. Well said and well expressed. It is for people like yourself that I started the Key Rums series, because I felt that the middle ground was not being well tended, when people either went and stayed with cheap mixers, or were connoisseurs of the expensive top end. Mid-Priced for me is in the $50-150 range. I accept it is different for everyone. For what it’s worth I hard to cover as wide a swathe of the rumworld as I can – price, quality, regions, producers – especially for relatively unknowns : sometimes that takes away from my focus on more popular, better known products. But hopefully I get to come around to stuff that you do appreciate and enjoy. It seems you are getting screwed on the price. Here in Sweden 🇸🇪 all taxes included I would have to pay 495 Swedish crows for a Diplomatico Reserva Exclusive. Something like 50 Euro. I’m not a fan of sugared rum, but I have to give it to the people behind Diplomatico: they’re the first big brand (I know off) that list the amount of added sugar on their website. The info is also roughly the same as what I can find on the rumproject and fatrumpirate’s blog. We’re not there yet: you have to make an additional click on ‘nutritonal information’, the amount is per 100ml instead of per liter so it makes for a smaller number and I very much doubt it’s on the bottle. This is baby steps, but not even Plantation, the poster boys of openness about dosage, can make this claim. Which always seemed odd to me. Not lying when asked a direct question is not the same as openness to me. In reality they were forced to do it because of consumer pressure and competitive pressure from Pernod Ricard in France and their Pacto Navio brand which is promoted as having less than half as much added sugar than Diplomatico. Havana Club has listed nutritional informacion for much longer. I did not know either of that, thanks! 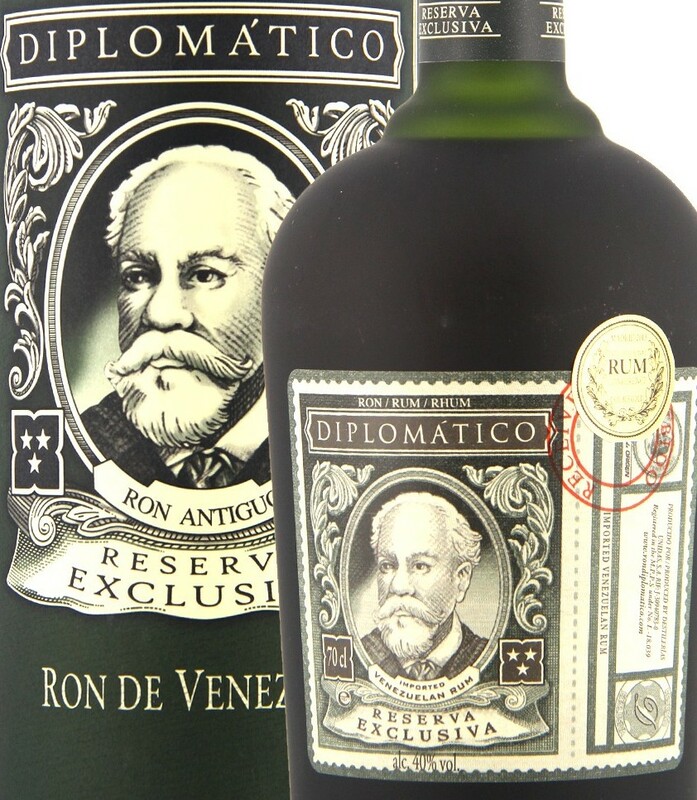 That the Diplomatico doesn’t make the cut doesn’t surprise me, though the list of the “world’s top rums” does. Remember, the panel probably did not have access to the lastest top international rums, so as you suggest there are some obvious ones missing. I found it more interesting in respect of the Venezuelan rums, which they would know well.